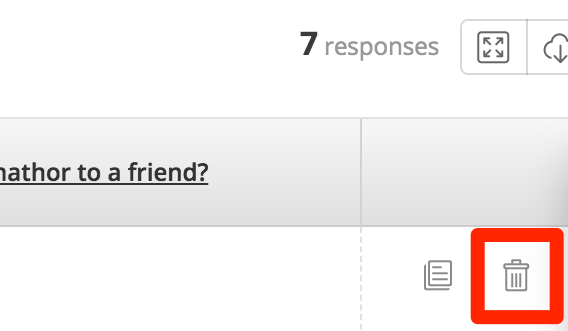 Click on the trashcan icon on far right of the Survey response. Once the response has been deleted, you will see a green pop up at the bottom right-hand side of your screen confirming the deletion. Select Delete in the drop-down menu of the Survey widget you'd like to delete. 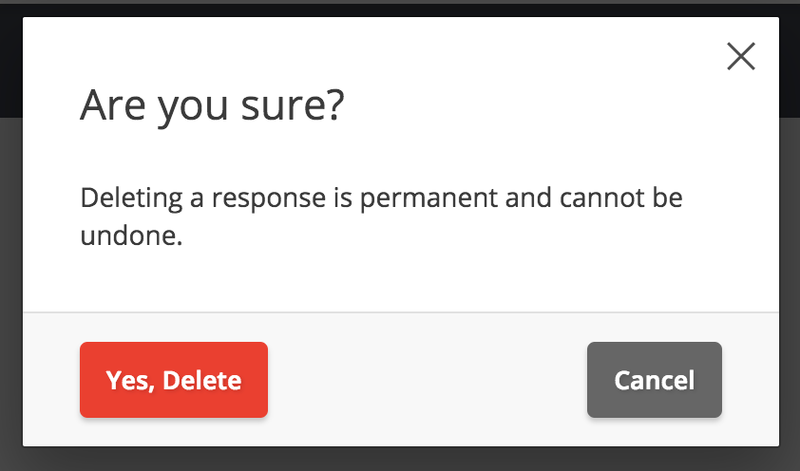 Click Yes, Delete to confirm deletions. Once the widget has been deleted, you will see a blue pop up at the bottom right-hand side of your screen confirming the deletion. Only users with Read & Write access and higher will be able to delete Surveys.